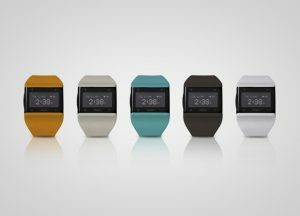 Intel has announced its acquisition of Basis Science, the company behind the Basis Band wearable health tracker. Much like other wearable devices (the Fitbit, Jawbone, etc) the device is able to record steps, heart rate, and other fitness statistics. Since the Basis Band is the primary device from the company, it now seems obvious that Intel is looking towards entering the wearable space. During CES 2014, Intel did reveal that it has an interest in wearables but at the time, the only products that could be shown off were smart earbuds that record a user’s heart rate. By the time that Intel brings a smartwatch to the market (if that is what it plans on doing), it will be competing against a wide variety of companies including Apple and Google. Now that Android Wear has also been announced, more devices will be coming out with an Android backing which should fill up the market. Intel has supported wearable device initiatives in the past. Last year, the company put money behind Recon Instruments and Thalmic Labs, both of which are working on wearable tech. Financial terms of the deal have not been released by either company, but early reports have stated that the acquisition went down for $100 million. Intel has already worked on and made public its Quark processors which are specifically meant for wearable products. This means that the company could be one of the few to work almost exclusively on a device rather than relying on other companies for important components. Question – Do you think Intel will use Basis to come out with its own smartwatch? Summary: Intel has acquired Basis Science, a wearable devices company specializing in health trackers. The deal reportedly went down for $100 million. This builds upon previous wearable device ventures by Intel.